FREE Block game. Fill rows with dropping blocks to destroy them. 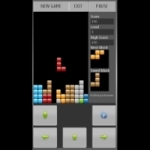 Play until your blocks reaches to the top of the screen.